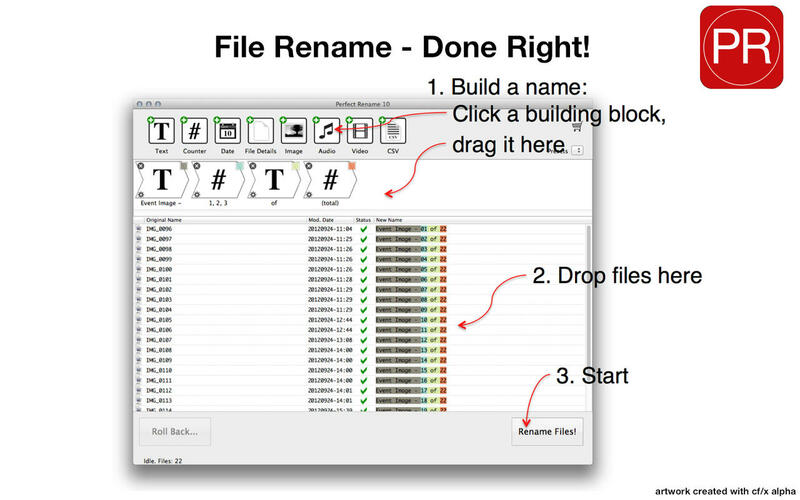 Easy as 1-2-3: Build the new file name from simple, easy to understand building blocks, check real-time results, hit 'Go'. - RegEx - So you are a pro, think in regular expressions, and aren't afraid to use a sleek tool with great UI? Multi-level, fully IEEE 1003.2 compliant regEx is here for you. Geeky. Recursive. "Now you've got two Problems." Most people don't bother with file extensions. But Perfect Rename lets you do just that if you ever have the need to change, map, or regEx your file extensions en masse. No guesswork involved. 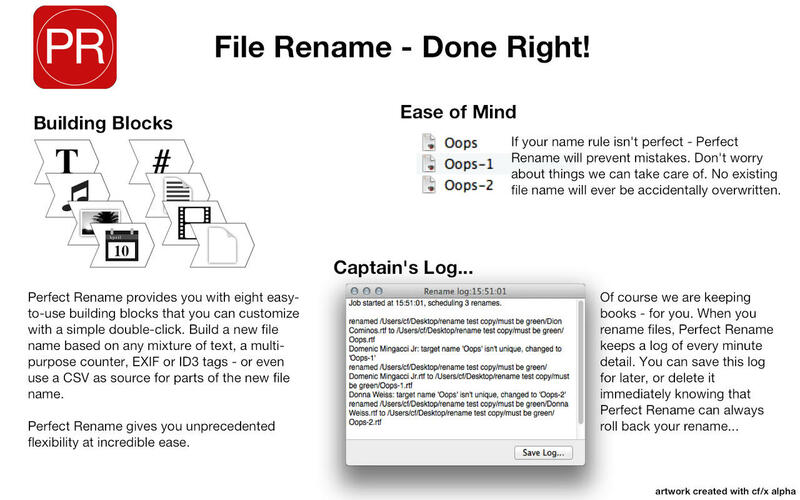 See what your results will be before you actually rename your files. Your rename rules have an issue? They'll tell you before you commit the rename, and prevent you from doing something unsavory. Collect your files, and dump them on the window via Drag & Drop. When all is said and done, Perfect Rename gives you a complete, savable clear text log of everything it did. Have a rule or schema you like? Save it now and recall it instantly later. Fast - very, very, fast.